Produce detailed reports on the areas that matter most to you and your business using InTouchCRM's detailed reporting. See how many leads have been created, won and lost during specific time periods. 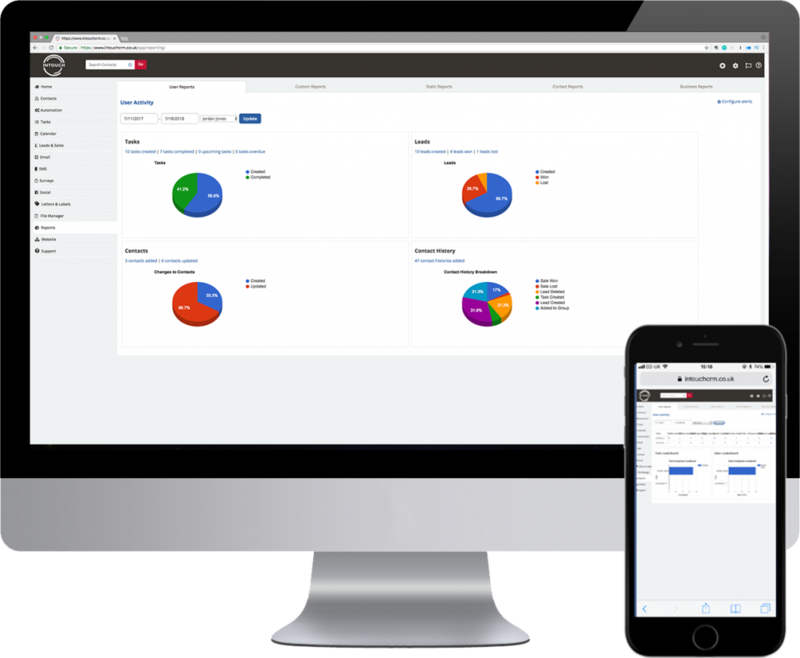 View and export reports of your top 50 customers or your contacts with no recent sales. Detailed reporting will help you stay on top of your sales with ease. See which of your marketing campaigns are the highest performing, which of your contacts are most engaged with your communications and what products or services they seem most interested in. Track your team’s performance by seeing how many tasks they have completed and what tasks they have overdue. See how many leads each member of your team has won and lost and motivate them to succeed.